Effective October 1, 2018, the long-sought consolidation of competing eligibility requirements in the Department of Veterans Affairs’ (VA) and U.S. Small Business Administration’s (SBA) service-disabled veteran-owned small business (SDVOSB) and veteran-owned small business (VOSB) programs has arrived. Veterans have been faced with incompatible requirements from the two agencies that often left their business eligible in the eyes of one agency but not the other. These new rules aim to resolve that problem by consolidating regulatory authority as well as the verification appeal process. As directed in the 2017 National Defense Authorization Act, the VA’s final rule cedes regulatory authority over the SDVOSB and VOSB ownership and control requirements to the SBA. Thus, while the VA retains the process for verifying eligibility, the SBA regulations at 13 C.F.R. Part 125 will control whether a business is included in the VA’s VetBiz database of verified firms. 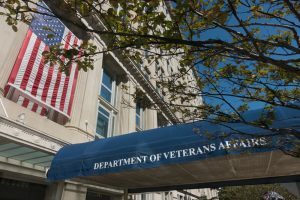 Significantly, the VA also disposed of its internal reconsideration process for initial eligibility denials based on issues of ownership and control. Moving forward, such appeals will be adjudicated by the SBA’s Office of Hearings and Appeals. With its regulatory authority more firmly established, the SBA’s final rule revised its own SDVOSB regulations regarding unconditional ownership and control. The final rule incorporates language from several key definitions in both the VA’s regulations and the SBA’s own regulations that ostensibly resolve enduring veteran headaches. The most notable change regarding control is that the new rule dictates “extraordinary circumstances” in which non-veteran owners can make key decisions without impacting SDVOSB eligibility. However, this exception is strictly limited to the following decisions: (1) adding a new equity stakeholder; (2) dissolution of the company; (3) sale of the company; (4) merger of the company; and (5) the company declaring bankruptcy. The agency also laid out rebuttable presumptions establishing a lack of control that appear based on an antiquated view of the workplace. Under the new rule, a lack of control is presumed where the veteran, “is not located within a reasonable commute to [the] firm’s headquarters and/or job-sites locations….” Despite the difficulties of commuting with a disability and the widespread availability of applications to work remotely, SBA maintains that this presumption is pivotal to prevent “remote observation and over-delegation.” While the agency thankfully refrained from including a “full-time devotion” requirement, the new rule does include a presumption of the lack of control when the veteran is unable to work for the firm during “normal business hours” due to other employment or being a full or part-time student. Turning to the modified ownership requirements, the new rule incorporates the VA’s definition and rule for “surviving spouse” by allowing a business to maintain SDVOSB status upon the veteran-owner’s death so long as the ownership interest passes to the surviving spouse, the business was included in the VetBiz database prior to their death, and the veteran either was 100% disabled per the VA’s rules or died as a result of his or her service-related disability. The new rule also clarifies the ownership requirements for partnerships by dictating that the key inquiry is the percentage of aggregate voting interest as opposed to ownership of all classes of interest. Finally, to the relief of veterans in one the country’s nine community property states, such laws are disregarded under the new rule meaning business owners no longer need to get spouses to disclaim their rights over the business to be eligible. The final rules bring much-needed consistency to the ownership and control requirements of the two agencies. While competing interpretations are certain to arise, their promulgation marks an important step towards providing a consistent framework for SDVOSB and VOSB eligibility. Edward DeLisle concentrates on federal contracting, small business procurement, construction law and construction litigation. He has drafted and negotiated teaming agreements, joint venture agreements, and construction contracts and subcontracts. He also actively monitors the progress of his clients’ contracts as outside general counsel in order to safeguard those rights and remedies to which they are entitled. In addition to litigating, arbitrating, and mediating complex construction and procurement cases in various jurisdictions and forums throughout the region, Mr. DeLisle assists companies—both foreign and domestic—in international disputes involving the US government. 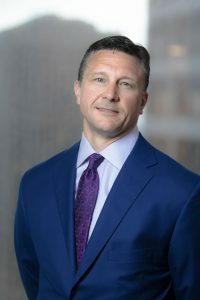 He is currently representing clients on matters involving Department of Defense work in Afghanistan and has done similar work for clients in Israel and Eastern Europe. Ed counsels clients in all aspects of small business procurement. He has assisted clients in obtaining certification as small and small disadvantaged businesses at the municipal, state and federal level. He has participated in bid protests involving Service-Disabled, Veteran-Owned, HUBZone and 8(a) set-aside contracts and regularly assists with responding to best-value procurements at the state and federal level. Ed also assists companies, both foreign and domestic, in international disputes involving the United States Government.